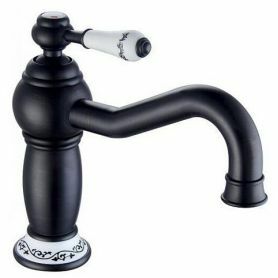 The semi-counter tall vessel is a type of semi-filled sink - its greater part remains above the level of the countertop. Hand-decorated decorations cover the interior and a large part of the external walls. The sink can be let into the worktop to any depth. The shape of the sink and decorating inside and outside the bowl make it a very original and unique product.